An engineering research team at the National University of Singapore has developed a nanofibre solution that creates high-quality air filters in a simple, quick and cost-effective way. The novel filters demonstrate significantly better performance than conventional filters. Air-filters are generally evaluated on a parameter called quality factor, which is a function of two sub-factors, particle filtration efficiency and air permeability. Current commercial respirators have a high particle filtration efficiency, while their air permeability continues to be considerably low, thus resulting in a low quality factor. The NUS team’s air filter achieves a quality factor of about two times higher than commercial respirators. It can filter up to 90% of PM2.5 particles (hazardous particles that are less than 2.5 microns in size and are associated with serious health threats), while maintaining air flow that is 2.5 times better than these respirators, resulting in better breathability. The research team was led by Assistant Professor Tan Swee Ching from NUS Materials Science and Engineering, which comprised PhD student Sai Kishore Ravi and Dr Varun Kumar Singh, who was formerly with NUS Materials Science and Engineering. The researchers engineered organic molecules from a chemical compound commonly used in dyeing. The molecules can self-organise, in a manner similar to the stacking of building blocks, to form nanoparticles and subsequently, nanofibres. The nanofibres are suspended in liquid and air filters can be quickly produced simply by spreading the concoction onto a non-woven mesh and leaving it to dry naturally. The production of most of the current nanofibres used in air filters is energy intensive and requires specialised equipment. Asst. Prof. Tan added that it may be possible in the future for anyone to buy the nanofibre solution and create DIY (do-it-yourself) air filters at home. Singapore is exposed to severe smoke haze and elevated PM2.5 levels on a periodic basis from forest fires for land clearing in the region. Even limited exposure to air pollutants, such as those found in transboundary haze, can trigger respiratory symptoms and aggravate existing heart or lung conditions. Among healthy individuals, short term exposure (i.e. continuous exposure to unhealthy daily average PSI levels over a period of a few days) to high levels of haze particles may cause irritation of the eyes, nose, and throat in healthy individuals. The National Environment Agency of Singapore shares hourly PM2.5 readings in Singapore. 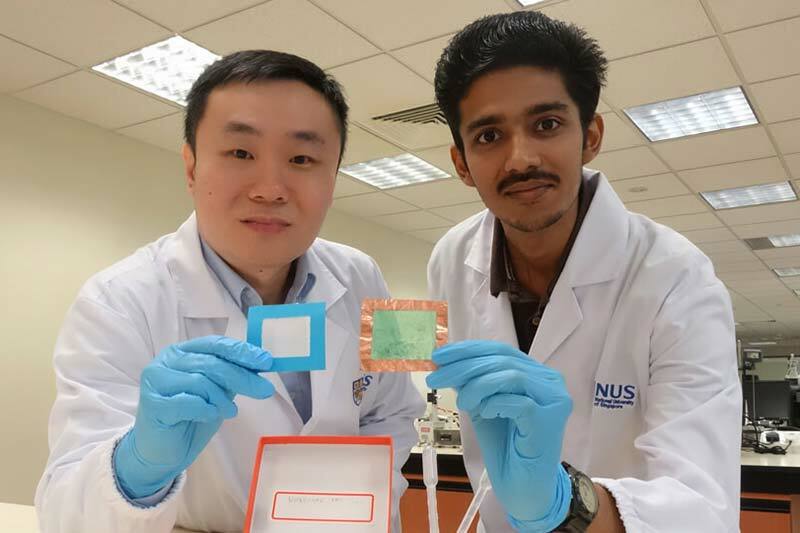 The NUS research team has filed a patent for their invention, and is targeting the inclusion of further functionalities, such as anti-bacterial properties, into the air filter. They plan to work with industry partners to commercialise this technology.